Great Class! Very hands-on! 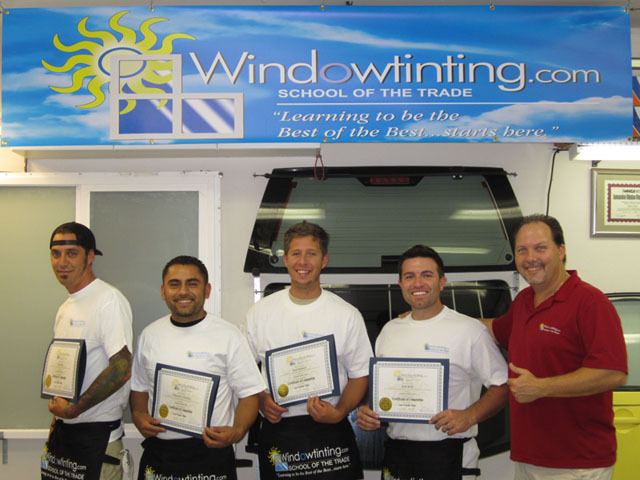 Robert has a great attitude and I would recommend this class to anybody interested in the window tint industry. This course was very good! The class is small, so I got the chance to participate at all times. Robert has a very good way of teaching…just simple. I am very glad I came to this class. Good coach! Good class! I will most definitely return for the Flat Glass Training. I came in very nervous and kind of intimidated, but the class was super comfortable and Robert was super laid back and really knew his stuff! Also, he was very patient with all of us. I think the best part was that because we were around each other so much, and supportive, that after the week was over we all made good friends!